Jamaica is a famous tourist destination, owing much of its popularity worldwide to its magnificent beaches and tropical weather. Apart from the island’s excellent beaches lie a number of relaxing mineral baths that are increasing in popularity due to their health benefits. Mineral baths or hot springs are natural pools of water that are full of minerals. Their geothermal waters are often used for therapeutic treatments, as well as for revitalizing and relaxing the mind and body. 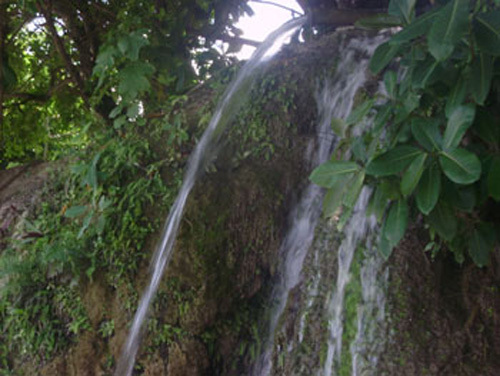 Two of the wonderful mineral baths, located in Jamaica, are the Saint Thomas Bath and the Fire Water Pond. This mineral bath is located at the foothills of the John Crow Mountains in the eastern parish of St. Thomas. The discovery of the bath is the stuff of legends. It is said that it was discovered in the 17th century by a runaway slave suffering from ulcers on his leg. He washed his wounded limb in the water upon discovery and noticed the next day that his leg began to rapidly heal. He then returned to his master and reported the discovery. Since then locals and visitors have been flocking to the mineral bath to experience is mystical waters. The natural spring waters are widely believed to aid in the recovery of a wide range of ailments such as gout, rheumatism and skin conditions. The area consists of two springs, one cold and one piping hot which flow through the rocks on bamboo pipes. Chemical analyses have shown that the active elements in the water are lime, sulphur and magnesium. It is also believed that the natural high temperature of the mineral bath enhances the healing power of the mineral rich waters. Traverse Jamaica tours take visitors travelling in groups to the area. Once there you will have to walk up a relatively narrow track to the springs where locals await with offers of guided tours and therapeutic massages.